Coaches, first I want to give you a BIG THANK YOU for volunteering to coach our youth, and we at NW Premier Jr. Flag Football are truly grateful. As youth football does not exist with the support of good volunteer coaches. On this page you will find some effective tools and resources to assist you in effectively coaching your NFL Flag players. I am a true believer in not "reinventing the wheel." 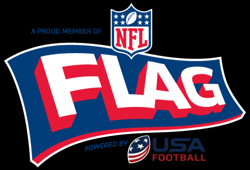 The resources you'll find on this page have been created, gathered and updated by me over my past 4 years of involvement with NFL Flag. I also encourage you to register for a free USA Football Membership if you don't already have one, as there are more flag football resources located on the USA Football as well. Very easy to follow videos; teaching sound flag football fundamentals. Make the most of your time with players, by making sure they know the fundamentals. Flag Certification supports your efforts with a focus on both the basics of the game, and safety on and off the field. Video-based tutorials with animated plays and quizzes clearly demonstrate proper technique and form — making it easy to transfer lessons to the practice field, and for coaches at all experience levels to connect with rookie and veteran players.